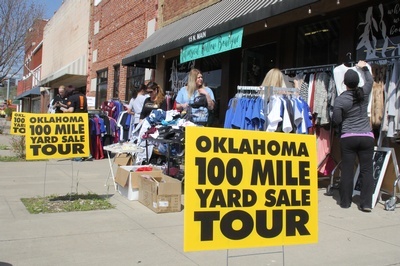 The Oklahoma 100 Mile Yard Sale Tour happens the first weekend in May. 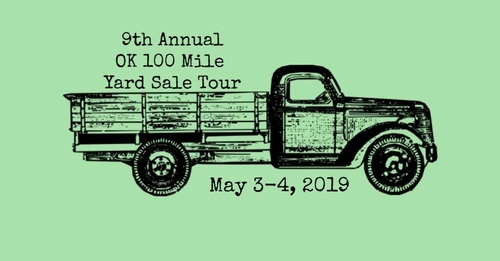 Over 100 miles of sales in 13 towns (and counting!) 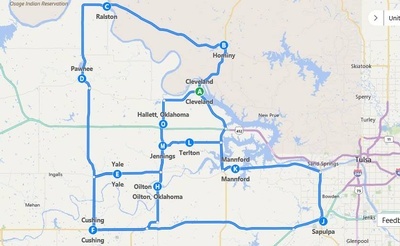 throughout central and northeastern Oklahoma. 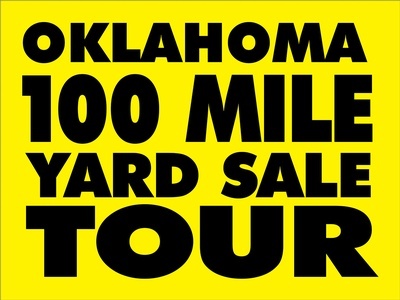 This sale is coordinated through the Cleveland, OK, Chamber of Commerce and surrounding areas.